Heleno Cláudio Fragoso is considered one of the most outstanding criminal lawyers and jurists in Brazil. During the military dictatorship, he stood out as one of the most important attorneys defending political prisoners in the country. Heleno Cláudio Fragoso was born on February 5, 1926, in Nova Iguaçu, in the State of Rio de Janeiro, son of Luciano de Souza Fragoso and Felícia Ayres Fragoso. He lost his father at the age of two, and started working when he was a teenager. He graduated from Law School in 1951, and opened his law firm in the following year. Being disciplined, he used to study every day. At 32, he released his main work, “Lições de Direito Penal.” At 35, still little known, he defeated a justice of the Federal District Court of Appeals in the dispute for the position of Associate Professor of Criminal Law at the National Law School (Faculdade Nacional de Direito), with the thesis “Conduta Punível” (“Punishable Conduct”, in free translation). During the military regime of 1964, Heleno worked permanently in favor of victims of political persecution in the Federal Military Justice and in the General Investigation Commissions. He was the lawyer who filed the collective Habeas Corpus petition that released the students who had gathered in Ibiúna for the Congress of the National Union of Students (União Nacional dos Estudantes), in 1968. Among other renowned cases, he also defended the owner of the newspaper Correio da Manhã, Niomar Moniz Sodré Bittencourt, who had attacked the dictatorship in an editorial; the writer Caio Prado Junior; Catholic religious people; and the young Stuart Angel Jones, when he had already been murdered at the Air Base of Galeão. He also worked for the family of the journalist Vladimir Herzog, murdered in the Army premises, in São Paulo. Heleno was the vice-president of the Federal Council of the OAB (the Brazilian Bar Association), a Member of the Federal Council of the OAB, and the vice-president of the OAB Section of the former State of Guanabara, as well as an effective member of the Institute of Brazilian Lawyers (Instituto dos Advogados Brasileiros) and a member of the Higher Council of the same Institute. For his courageous performance, he was kidnapped at his home in 1970 by unidentified agents, and was missing for two days, when he was the vice president of OAB-Guanabara. Throughout his career, he was awarded the titles of Honorary Doctor by the University of Coimbra (Portugal), Full Professor of Criminal Law of Rio de Janeiro State University (UERJ) and Candido Mendes University (UCAM), and Associate Professor of the Federal University of Rio de Janeiro (UFRJ). He wrote 14 books on Criminal Law, and was the Vice President of the International Commission of Jurists, in Geneva, Switzerland, and of the International Association of Penal Law (AIDP) in Paris, France. 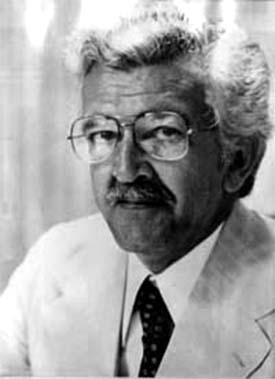 Heleno Fragoso died in May 1985, in Rio de Janeiro, at age 59, as a militant lawyer.